Ireland ‘stands’ with Canada and the rest of the G7, says Taoiseach Leo Varadkar. 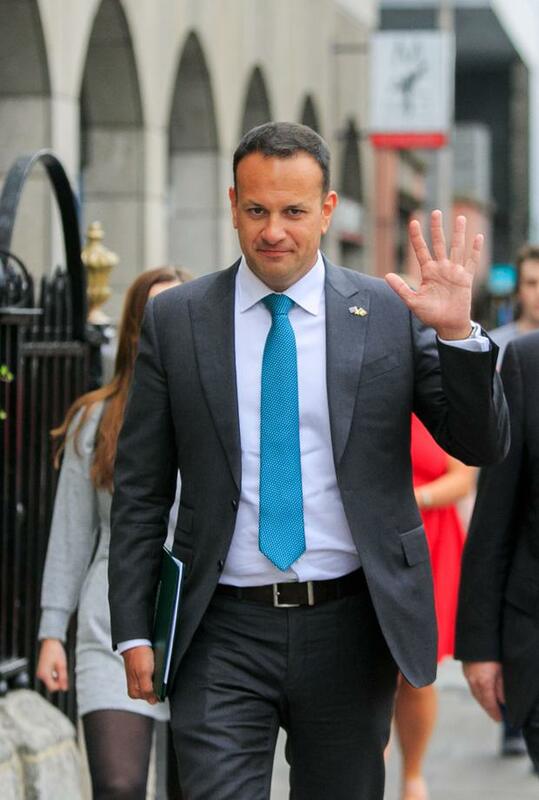 Mr Varadkar was asked for Ireland’s response to the war of words which recently erupted between US President Donald Trump and Canadian Prime Minister Justin Trudeau in the wake of the weekend’s G7 summit. “Ireland is always on the side of free trade and free it’s the reason Ireland has become a wealthy country,” he told journalists today. The comments follow a tense and rancorous meeting of the world’s top seven economies in Quebec where Mr Trump vowed to press ahead with US tariffs on key allies. Mr Trudeau confirmed Canada would react in a retaliatory way. German Chancellor Angela Merkel subsequently described Mr Trump’s refusal to support a joint communique as “sobering” and “depressing”. The taoiseach was speaking at the launch of ‘Global Ireland 2025’ – the government’s plan to expand the state’s international influence in the wake of Brexit and America’s apparent slip away from its traditional alliances in the EU and elsewhere. The government will deploy significant resources through the International Development Agency (IDA) and Enterprise Ireland to build on Ireland’s access to free trade and foreign direct investment. Meanwhile, Tanaiste and Foreign Affairs Minister, Simon Coveney offered a more sober response to the Quebec meeting; and today’s momentous attempt at a rapprochement between North Korean leader Kim Jong-un and Mr Trump. Mr Coveney said the lack of unity and leadership shown in the “aftermath” of the meeting was “very concerning”. “Let’s be honest; the G7 is about global leadership. “To provide stability; to show how partnership on a global level will work and so the aftermath of this G7 meeting in many ways is very concerning”, he said. The Tanaiste also described today’s meeting between the North Koreans and the Americans in Singapore as “deadly serious”. “What’s happening in Singapore is deadly serious. Previous articleFor the love of the Midlands: Can Hidden Heartlands win over a new breed of tourist?